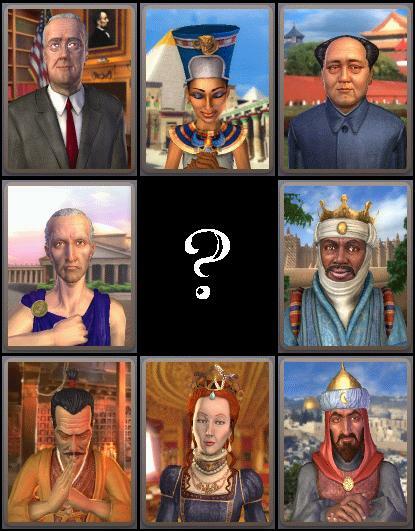 Every civ will start in the same place in each player's game, but the civ that you play will be randomly assigned. I don't know who is going to sign up or in what order, and nobody is going to know which civs one another is playing. We're all playing the same map, though, with the civs in the same places, so that should make the discussions interesting when report time comes around. REMEMBER: No spoilers! You will not know which civ you are playing until you receive your start file by email. Anybody who reveals the civ they've received, directly or indirectly, prior to Closing Day, will be disqualified! Don't be the one who goes there. M'kay? Full game details can be found here at Realms Beyond. Firstly ... what does M'kay mean? Secondly, I got thinking about this game and it reminds me of another game I play ... contract bridge. Bridge is played with a normal deck of 52 cards, 4 people, 13 cards each and two teams. The social game is just about winning the bid and then making your contract. The luck of the deal has a big part to play ... if you get aces and kings all night, you should win. The other way of playing bridge is called duplicate. There are a reasonable number of tables (6-15) and everyone plays the same hand. The hand that you are looking at is exactly the same hand that another person sitting in this seat later will play. It isn't you versus the other people at the table, it is you versus the other people sitting in your seat. Luck is taken out of the equation to be replaced with skill. It doesn't matter if the opponents at the table bid 6 Hearts and make 13 tricks if everyone else with their hands bids 7 Hearts and makes 13 tricks. This has some subtle impacts on your bidding and card play. You win (on average) if you play the percentages ... if you do what the group as a whole does. You lose (on average) if you take risks. It also results in some (on the face of it) silly situations. Say the opposition is looking like playing in 2 Hearts - that scores 110 points if they make their contract exactly (8 tricks). If you play in 3 Diamonds (say) and go down 2 tricks (making 7 tricks), they get 100 points. This means that you end up in front -100 against all the other people who sat in your seat and let the opponents make 2 Hearts (-110) points. This may seem strange - you fail in your contract but end up beating everyone else in your seat. That said, if everyone else in your seat beat the 2 Hearts contract by 1 trick (+50), then -100 is a really bad score. Just one of the quirks where the scoring method has a huge impact on the play of the game - a bit like pairs golf - you could shot 140 but if you win 10 holes you win!